Remember the fun you had as a kid with Colorforms? So do we. That is why we are constantly searching for original cartoon and movie themed colorforms. 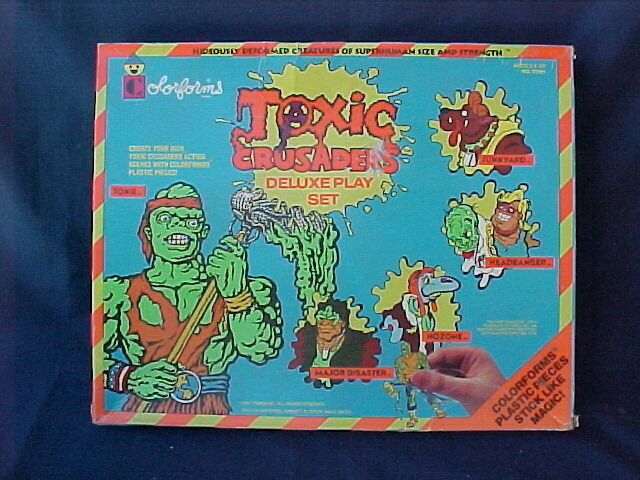 They just don't make them like this anymore!This rare and hard to find off the wall playset from Colorforms, features the Toxic Crusaders! With characters such as Junkyard, Headbanger, Nozone, and Major Disaster you cannot go wrong! !